There’s one man who’s half a world away, and another one who's wishing he was. A third remains content with what he’s got, but I worry that it’s only a matter of time. "Thank you for expressing an interest (or at least the possibility!) in co-operating in "Worlds Cheapest TV Moments". I still feel this project has the potential to showcase our services and I am sure we can give a good account of ourselves. If you are in a position to encourage colleagues to participate, please take the opportunity to do so as it will give us a wider pool of potential activities for them to consider filming." The list splits neatly into two camps - shameless self promoters and troublemakers. Now I'm a bit frightened. Although his tentative use of the word "still" is encouraging. The grapevine tells me that Perfect has got himself promoted and been made a J2O - at least I think that's what Charlie said. Anyway, it's a very commendable achievement and furthers my belief that it can be only a matter of months before he takes over the running of things in that People's Republic between the Warrington/Runcorn corridor and the Irish Sea entirely. For the benefit of all concerned. 2008 looks like a good year. I've been in touch with someone I used to know a long time ago. In fact, I've been in touch with a couple of people I used to know a long time ago. It's fascinating and curious and a little bit like the start of a novel that someone else will one day write, at which point I'll wail: "...but that was MY idea". The fly in the ointment is my Friends Reunited profile. I thought it was an obvious fabrication. I thought I was being mischievous and mysterious. There is a possibility that they both believe it. "I think computers ought to have a key called "I'm Drunk" and when you push it, it prevents you from sending email for twelve hours"
"Tickets, passes and excuses please!" My Favourite Conductor has a new catchphrase. He also has a broken chip & pin machine and I have no cash. The free train is the sweetest train. Not any more I'm not. Had a fantastic day at work today. My job is fulfilling and stimulating. I make the world a better place on a daily basis. LineManager is a star, without a doubt the most supportive and fair-minded person one could wish to work alongside. My colleagues are, without exception, as fine and fragrant a bunch of people as you could ever meet and a delight to spend time with. Senior Management, from HeadHoncho down, is competent and efficient and values its staff beyond pearls. I'm so lucky to work for such an outstanding Four Star Service*. I even dreamt about work last night. That’s how dedicated I am. I was calling a company on Anglesey, but the woman I needed to speak to would only speak in Welsh. She thought I would be thwarted by this tactic, but it didn’t bother me, because I knew Welsh speaking colleague would take the call for me...If I could only catch his eye. It was all about hot tubs. As of today, I find I can no longer access petite anglaise from work. Am I being saved from myself? Since I finished 'Jpod' I’ve not been reading. Since I’ve not been reading, I’ve not been sleeping. Since I’ve not been sleeping, I’ve ... not been in the greatest form. Last night I scanned the shelves and rediscovered someone who’s just about perfect for this weather. This morning I woke up feeling almost human. I’ve had a headache since 10.00. And I’m sitting on a train that’s going nowhere. But it’s not very alluring. Currently, pretty much all I can listen to is: The Shins (Chutes Too Narrow), Roddy Frame (Western Skies), Johnathan Rice (Trouble Is Real), Calexico (Garden Ruin) and Mushaboom by Feist. On repeat. I can’t stop. I need some new ideas. Or a new mood. Or come Monday I’m going to hate all of the above. Last year some time, during one of those 'Why do people do the things they do?' conversations, Leanne said something that I didn't understand. d) pack in their job and go off to find themselves in other countries. At the time I didn't get it. Then, while I was sitting under the cherry tree on a balmy evening with a glass of wine in my hand and my true love by my side I had an epiphany. There is nothing wrong with my life. What do I have dissatisfied with? So, my job's a bit crappy, but we can still laugh about it. What do I have to strive for? The constant vigilance required to maintain an ideal Body Mass Index? Come on now, that's not a goal I want to own up to. The hall floor still needs varnishing and the bathroom door could do with a coat of paint, and there will always be weeds to pull up, but what am I aiming for? What are my dreams these days? Then I knew what she meant. “Thank you for your email to Customer Services at the ‘Once We’ve Got You On Our Mailing List We’ll Never Leave You Alone’ Office. please allow us this time before re-sending. measures to rectify the situation as quickly as possible. But I’m sure it’s already been done. Volunteers are obviously thin on the ground. Even the Usual Suspects are backward at coming forward. HeadHoncho sent out another email today, stressing how vital our support was to the success of his ego trip the whole fly on the wall exercise. There were voting buttons and, this time, we all have to respond by Friday. So, what's it to be? The "No, no way, not over my dead body, not ever" button, the "Memememe please! the telly! oh yes!!" button, or the "I'm not actually agreeing to support this potential fiasco, but neither am absolutely I ruling out the possibility that, in the right circumstances, it could be fun" cagey button. Of course, what's really needed is a "What's it worth if I promise to be good?" option. BottomOfTheBarrel Productions want to make a TV series about the Service. HeadHoncho, being a terrible show off and all round media whore, is dead keen. His sidekick, DeputyMoleMan, is not really a people person. If he didn't work from home 90% of the time he would spend his days hiding under his desk or ducking into cupboards to avoid face to face communication with anyone (come to think of it, there's a good chance that's what he does even when he is at home) so we will assume he is probably less so. Apparently this "represents an excellent development opportunity for officers" and we are assured that it won't be a 'stitch-up'. The other day Tim's mum (she is nearly 81 remember) informed him that I was a dead ringer for the one who'd just got knocked out of Wimbledon by Maria Sharapova. 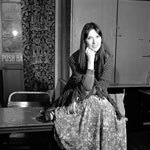 Set me to thinking - when I was at college someone told me (at regular intervals) that I looked like Maddy Prior. One of those assessments seems more realistic than the other. I've invented an exciting new rule for the benefit of the World Cup of Soccer. From the knock-out stages onwards the victorious team gets to select the player of their choice from the sad-sad losers to strengthen their premium squad. c) ensures that the poor old French don't have to go into the final worrying wtf Barthez is going to do next. To be honest, it wasn't received with much enthusiasm in my own living room, but I think that's just down to a lack of vision. I'm sure Sepp will love it. New Neighbours have moved in. These are the ones who knocked on the door and asked the Old Neighbours if they might feel like selling their house. And they decided they did. And now they’re moving to France to start a new life. Just like that. I’m not jealous, because I don’t harbour any desire to live in France, but I envy their recklessness. And I sort of wonder what would have happened if the Old Neighbours had been out and they'd knocked on our door instead. They seem to have a shiny red sports car in the garage and his & hers people carriers on the drive. We’ll see. I've been back at work for a week now. I've been giving it a fair chance. I've been trying to find some spark, some reason to remain optimistic about our collective futures, but there's nothing. The knowledge that on Thursday, LineManager is probably going to try to persuade one of us to get het-up about mobile phone cash-backs, does nothing to inspire. Being redeployed in my absence would almost have been a blessing - at least something would've happened. At 7.00am I sat in the garden with a cup of tea and listened to the birds. At 8.00am I stepped off the train with the sinking feeling that I'd already enjoyed the best part of my day. Being currently obsessed with a song containing the lyrics "The road you'd chosen to follow slowed and turned into a cul-de-sac, there's no shame in turning back and trying something new" doesn't help either. Oh, and I'd like a marxophone please.